It isn’t often that homeowners think about their interior doors. Typically, that’s because many homes still have their original builder-grade doors and basic hardware. But why not make your interior doors just as interesting as the rest of your home? Interior doors with even just a bit of character can enliven a space in need of an update or unify a recently revamped space. Ready to add some interest to your home’s interior? Here are some of the different ways to give your interior doors new life. While not exactly an update to the doors themselves, an easy way to change the look of your home’s interior is to update the molding around your doors and doorways. This can be an especially valuable update if you are presently renovating your home and want to adopt a particular design language throughout the entire space. There is no easier, more impactful way to update your doors than painting them. But don’t just refresh their current shade, go for something different. Pair that new colour with new or refreshed hardware and you’ll have a whole new look, with little effort. To make a change that goes beyond (and before) painting, add some texture to your doors with the additional of some light architectural details. 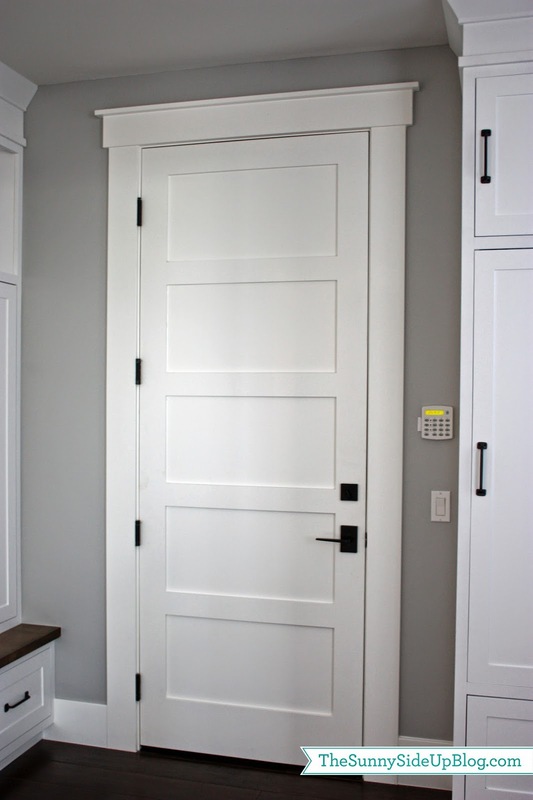 You don’t have to be content with hollow slab doors, when you can give them a DIY facelift. If you want to update your doors but are short on time (or just want a simple change), then your best is to go with a simple hardware change. Change the knobs or add a door set. You can even update the hinges the hinges or add faux keyhole detailing. In fact, you don’t even have to purchase new items. Simply give your existing hardware an update with a shot of primer and metal-specific paint. Of course, not everyone enjoys the prospect of a do-it-yourself project. When that’s the case, the best and most enjoyable way to update your interior doors is to purchase new doors. New interior doors can be found at home improvement stores or through your local doors and windows specialist. If you love rustic or vintage styles, visit estate sales, or other resources to find reclaimed doors.